Expand your game options and pick up one of these! Simply set this game table over the top of your 44” Mini Folding pool table - item# PT002-9007. (See our pool tables section for additional details) This double sided game table allows you to choose between finger soccer or slid hockey. 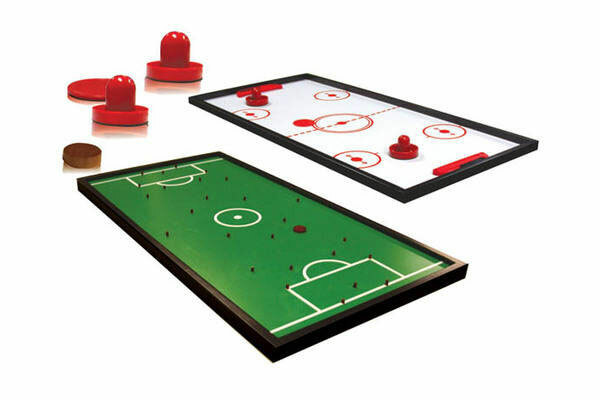 The game table includes two hockey paddle, puck and wooden game piece for finger soccer. This tabletop can also be placed over any hard surface.